We are honored to welcome extraordinary guest speaker, George Deek, a diplomat with the International Law Department at the Israeli Ministry of Foreign Affairs. Mr. Deek will speak both during services and lunch. An Arab-Christian Israeli, his family has lived in Jaffa for over 400 years. 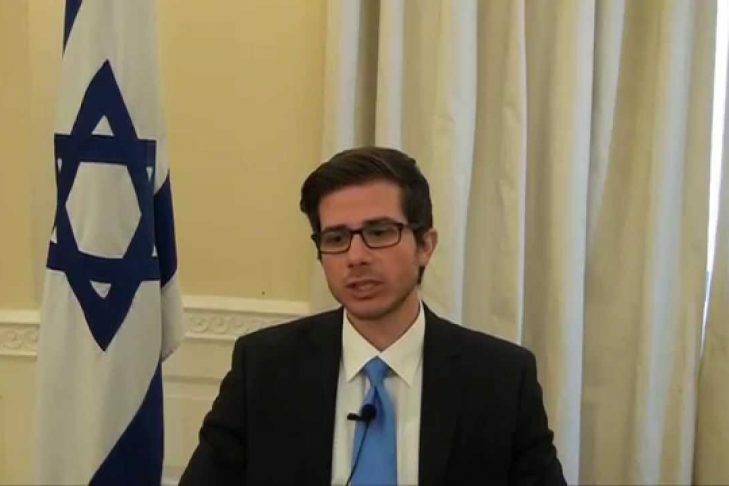 Mr. Deek was the manager of the “Arab-Jewish” debate forum of Israel’s leading news website Ynet and served as the Deputy Chief of Mission at the Embassies of Israel in Nigeria (2009-2012) and Norway (2012-2015). Currently pursuing a Masters in Law as a Fulbright Scholar at Georgetown University, Mr. Deek will share with us his inspiring perspectives on current affairs within Israeli society. Sponsored by AIPAC.